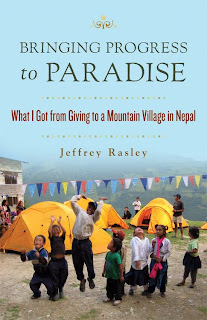 Yesterday we published a guest post by Jeffrey Rasley on safety in Nepal. Today we'll look at a more personal reminiscence by Jeff on his complex and exhilarating relationship to this relatively mysterious and inaccessible country. 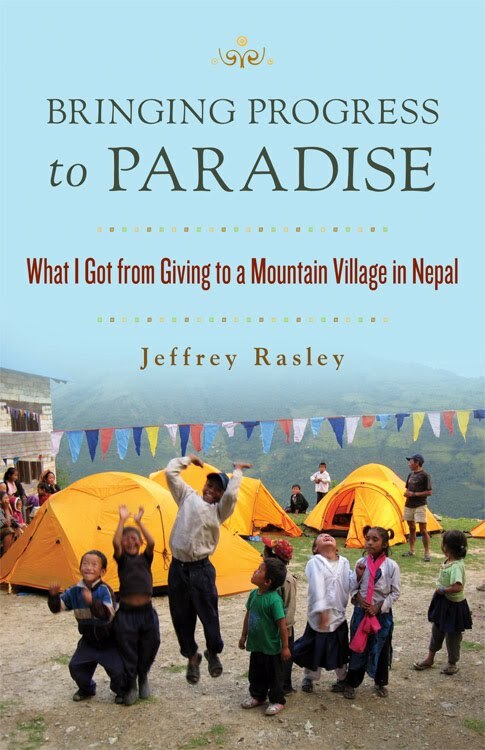 His new book, Bringing Progress to Paradise, combines adventure travel with service work in Himalayan villages and if anyone is interested in contacting him about either his e-mail address is jrasley@juno.com/. I first went to the Himalayan Mountains in Nepal as an adventurer and mountain climber in 1995. After four Himalayan expeditions in five years I’d had enough. In 1999 my climbing team barely escaped an avalanche that killed three Nepalese porters. Even though there was nothing I could have done to help these men, I was plagued by guilt over their deaths. The men who staffed our Himalayan expeditions as guides and porters were the strongest and kindest people I had ever known. They emanated a beautiful spirituality and displayed almost super-human strength. After seeing those three men swept away in a tsunami of ice, snow and rock, I resolved not to go back to Nepal. There were other places to go adventuring, which would put only me in danger, not others. But a call to return to Nepal in May 2003 was too strong to resist. It was the Jubilee celebration of the 50th anniversary of the first recorded summit of Mt. Everest by Sir Edmund Hillary and Tenzing Norgay. The country was suffering through a civil war and needed tourist Dollars. The King of Nepal and Sir Edmund Hillary made a joint appeal to mountaineers throughout the world to come join in the celebration. 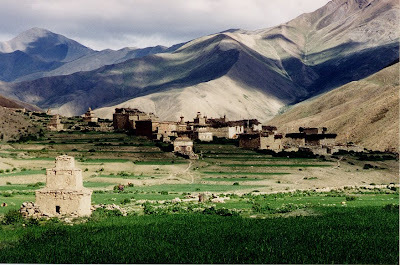 So in the spring of 2003 I trekked through the Khumbu region of Nepal and up to Mt. Everest Base Camp at 18,000 feet. I trekked with twenty members of the Hillary family for two days along the Base Camp trail. They were making a pilgrimage led by Sir Edmund’s older sister June, who was 86. I learned much about Sir Edmund’s devotion to the Sherpa people. After he became rich and world-famous, Hillary devoted much of the rest of his life to philanthropy for the Sherpa people. He greatly admired the unique character of strength and Buddhist gentleness he found in the high mountain people of Nepal. The Jubilee experience had a profound effect on me. I felt the pull of Nepal again, but it was more than just the mountains, the culture, and the need for adventure. My encounter with the Hillary family compelled me to think about what I could do for Nepal and then to act. I’m not rich or famous, like Hillary. I don’t have the time or inclination to own and operate an expedition company, like Peter Hillary, Sir Edmund’s son. 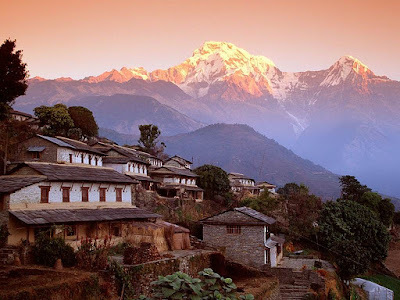 But I decided I would try in my own small way to help make a meaningful connection between the high mountain people of Nepal and friends from the West. My plan was put into action the year after the Jubilee. I organized a three-member expedition. We raised $1,000 for a water project in the Dolpo region of Nepal and delivered 65 pounds of children’s clothes and school supplies. Since then, I have returned each year with a new group. Our trekking groups and related fundraising efforts have helped to finish construction of a village school, employed two teachers, connected a village school with two American schools in pen pal relationships, and distributed hundreds of pounds of school and medical supplies, clothing and toys. In 2009 our group included seventeen members and more than 90 people have made cash donations. So here I am again. It’s just after sundown on December 1, 2010 and I’m sitting with Ganesh Rai and Buddiraj Rai by a campfire on the Ratnagi Danda, a 10,000 foot high ridge in the Nepal Himalayas. Everyone else is asleep in their tents. We are on our way out of the mountains trekking back to the airstrip at Paphlu village to fly to Katmandu. Our trekking group delivered a hydroelectric generator and the equipment to create electricity for Buddi and Ganesh’s little village, called Basa, which means “resting place.” The villagers have lived for hundreds of years in Basa without any source of power except burning wood. Now the village will have electricity. Sitting by the campfire with Ganesh and Buddi I hoped to gain a deeper understanding of the unique spirit of the high mountain people. They had promised to share with me the traditional stories and rituals of the Rai people of Basa. Because I had helped finish the village school and had helped to provide employment for villagers by bringing trekking groups to Basa, the villagers called me “dhai” (elder brother). Ganesh and Buddi knew that I had written a book about the special relationship I have developed with Basa village. They had requested permission from Kumar Rai, the senior porter of our staff and son of the village shaman, to tell me the ancient stories and rituals. Kumar had granted permission and told them he hoped I would write another book and bring more “white people” to Basa. But working with the village is not a one-way street of Westerners bringing our money and higher material standard of living to Basa village. Yes, my friends gave Basa the capital to build a hydroelectric power station. But “the resting place” can give my friends and me a different power-- the power of spiritual contentment. I will try to fulfill Kumar’s hope. What I learned from Ganesh Rai and Buddiraj Rai that night high on the Ratnagi Danda will be the beginning of my next book. Seeing pictures of the mountain range is mesmerizing, how much more if you're there in real life? It must feel like you're watching both something that's calming and enigmatic. The Himalayas can be a sort of a miracle. Is Morocco Still Safe For Tourists? Is It Immoral For Tourists To Visit Tibet?